Johannesburg - A week ago Rodney Ramagalela and Veselin Jelušic sat side by side receiving player and coach of the month accolades. But on Sunday afternoon, last month’s best player Ramagalela and Jelušic, who walked away with the coach of the month accolade, will become foes with the spot in the Telkom Knockout final at stake. 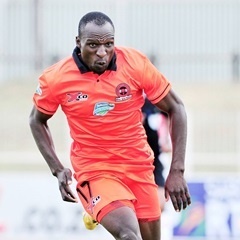 Ramagalela will be looking to spearhead Polokwane City to their first-ever Cup final while Jelušic wants to reach his maiden final since moving to South Africa from Angola four months ago. Jelušic has already led Bloemfontein Celtic to a victory over City in their league encounter at the same venue. Sunday's game is a one-off affair and both sides will give their all to reach the final. On paper, Celtic are a better side following their brilliant start to the season, which sees them fourth on the league table. Credit should go to the Serb mentor who has instilled a sense of self-belief – the players are not scared to express themselves. Celtic were struggling and fighting for survival last season but it is a different story this time around since the arrival of Jelušic. However, City will not be pushovers. They needed penalty shoot-outs to win their previous two games against Ajax Cape Town and Orlando Pirates. But it was how they played in both games that would have satisfied coach Bernard Molekwa, particularly against Pirates at Orlando Stadium. Reaching a Cup final will also go a long way for Molekwa after he was entrusted with leading Rise and Shine without any top-flight coaching experience. City could be boosted by the return to action of Zimbabwean goalkeeper George Chigova, who had to be carried on a stretcher off the park at Orlando Stadium. But it will be in-form Ramagalela who will give Jelušic headaches ahead of the game. The game could see former City midfielder Sipho Jembula coming against his former team-mates. But it is Kabelo Mahlasela who should be closely monitored by City.